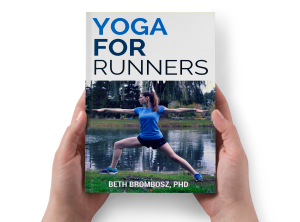 With all of the running gear out there, it’s hard to figure out what you really need and what you can get away without having. Add in hot, humid weather in the summer that makes you a sweaty mess (or at least it makes me a sweaty mess) and having the right gear can make a big difference between a comfortable run and having chafing and blistering issues. 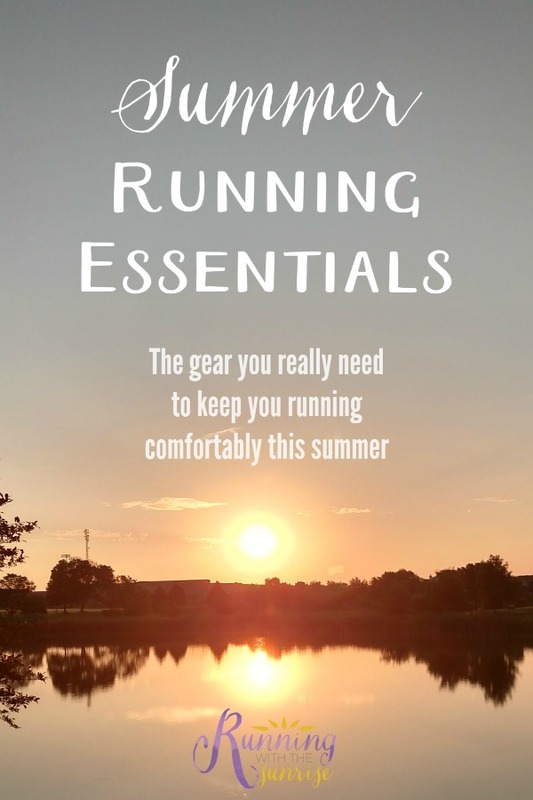 So, I wanted to share what I consider to be summer running essentials, in addition to things that are important for runners year-round like shoes and a good sports bra for you lady runners. 1. Hydration. This is particularly true if you’re running more than just a couple miles and if you’re running in very hot and humid conditions. I know some people will say, “But I don’t need water on my runs!” and if you feel okay on your runs, by all means, don’t carry it. But I personally take some with me because I’d rather be safe than sorry. And, if I’m weighing myself down with extra water on my training runs, I’ll be that much lighter on race day. You could keep it simple and run with a plain old water bottle, or you could go for a fancier option. There are bottles with a holster that you slip your hand through, making it easier to carry. There are waist packs, and there are hydration backpacks. I’d go with whatever works for you. The longer you run and the hotter your run is, you’ll likely want to carry more water. 2. Moisture-wicking socks. You might be able to get away with cotton socks if you’re running two miles in cold, dry weather, but as it gets warmer and your feet start to sweat more, you’re going to want to make sure your feet stay dry and blister-free. Good moisture-wicking socks are totally worth paying the extra money for—you’ll be more comfortable and they’ll last you a long time. 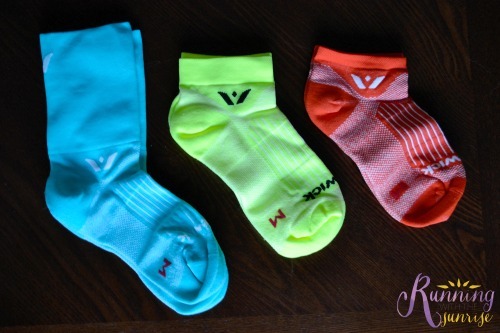 Swiftwick sent me some of their ASPIRE socks to test out for this post, which are great moisture-wicking socks. They just started making the ASPIRE socks in three fun new colors, Cool Mint, Hi Vis Yellow and Radar Orange, which I got to test out. One added bonus of wearing a brightly colored sock that sits a little higher is that it helps make you a little more visible to motorists. My new Swiftwick socks definitely helped me keep my feet dry on some hot, sweaty runs this summer now that it’s really starting to heat up, and I’m happy to report that I haven’t had any blisters while using them. And, they have a little bit of compression to them to keep my feet fresh and happy. 3. SUNSCREEN! and Sunglasses. Can we take take a moment to talk about how important it is to protect your skin and eyes from UV rays? My beloved grandfather passed away when I was 17 from melanoma that metastasized into the rest of his body, so I’m a little crazy about making sure I’m using sunscreen. I personally use a spray on sunscreen because it’s quick and easy. Please, please, please protect yourselves! You really should be wearing sunscreen on every outdoor run throughout the year, but since you get more UV exposure in the summer and you’re generally wearing less clothing, it’s a good time to make sure you’re protecting yourself. What gear do you really need for summer runs? 4. Moisture-wicking apparel. I’d say having moisture-wicking apparel is more important on runs that are more than a few miles, but it will probably keep you more comfortable even if you’re just running a few miles. Just like cotton socks hold on to moisture and can cause chafing and blistering, cotton clothing can do the same thing. Moisture-wicking clothes help pull sweat away from the skin and don’t cause as much friction, reducing your risk of chafing. If you’re going for a longer run, it’s not a bad idea to throw in some anti-chafing balm like Body Glide just to be safe. Runners: What makes your list of summer running essentials? Do you run with water? Great tips! Moisture wicking material is sooooo important! I kind of want to wear it all summer! haha! I carry water with me for pretty much any run regardless of distance. I hate feeling thirsty during a run and would hate to be without. Plus sometimes that 3 mile run turns into 8 miles when you’re feeling good so I’d rather be prepared. Socks are key! 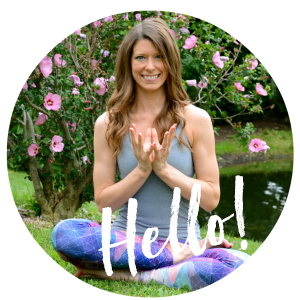 Moisture wicking when it’s raining or snowing in winter is essential…but so too is it in summer when you’re all sweaty and the salt is rolling down your legs! Wicking socks and clothes are an absolute must in summer! I make sure in summer to run on paths with water fountains for any run over an hour. I have to run with water in the summer if I’m going over 10 miles. I like to wear a lot of Lululemon clothes since I find their material very light weight and I don’t get any chafing. I’m with you on wearing appropriate socks.. I didn’t know this was a thing when I first started running long distances but holy cow do wicking socks make a difference! Thanks for all your suggestions! AH! Sunscreen! I am so bad at that! It’s like the one thing I just can’t bring myself to remember and do. Making a real effort (now that I moved out of California lol) to do that this summer. I work for a dermatologist and I know the importance of sunscreen…such an important tip to include! Great tips. Hydration is the huge one for me. My camelbak has been a life saver.